To finish the cake, make a glace icing by adding either lime juice or water to the icing sugar until a thick pouring consistency and spread over the cake. Top with a mix of seeds, mango, coconut and almonds. 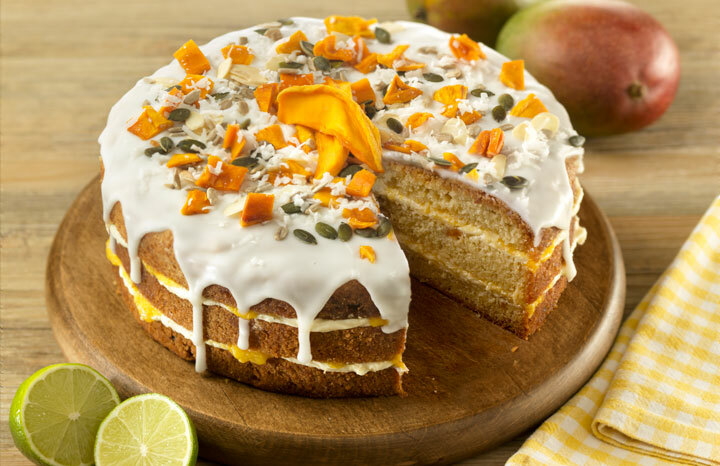 Known as the happiness cake, this bake is bursting with natural foods that make you feel good!